The highest and most isolated of the Latin American republics, Bolivia is South America at its most enchanting. Bolivia is home to indigenous women in bowler hats, charming colonial cities and some of the continent’s most extreme landscapes. In this Best of Bolivia bespoke tour, you will travel from the bustling city of La Paz to the beautiful whitewashed colonial capital of Sucre and onwards to Potosi, once the richest city in all of South America. 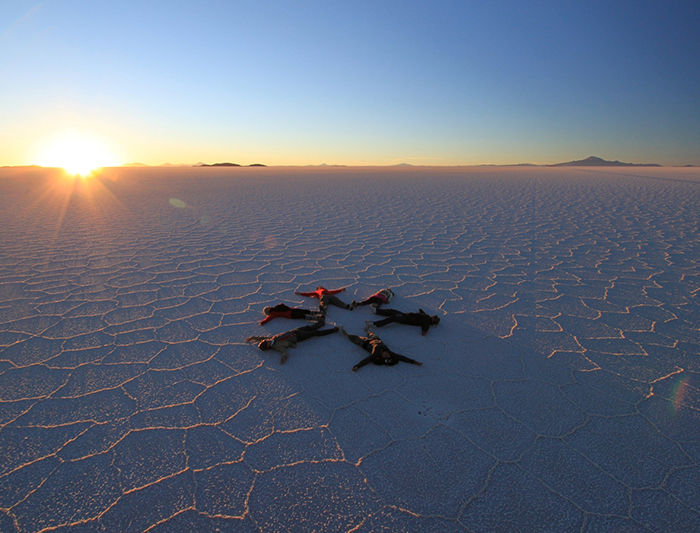 You will continue south to the isolated town of Uyuni and the starting point for journeys across the mesmerising Salar de Uyuni, the largest salt pan in the world. Finally you will head back north to the glittering blue waters and traditional island communities of Lake Titicaca. The itinerary shown below is designed to give you a taste of what is possible and is a route that works well. However, we are happy to use this as a basis to plan your own truly bespoke trip, designed around your individual tastes and interests. 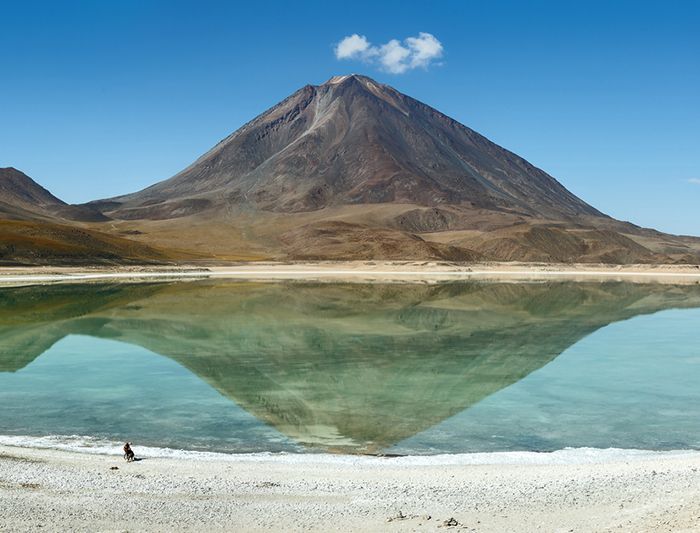 As well as a stand alone destination in its own right, Bolivia fits perfectly with itinaries in Peru and/or Chile. We have extensive knowledge of overland routes that that combine these three iconic South American countries. Upon arrival at El Alto International Airport in La Paz, you will be met and transfered to your selected hotel. Today you will enjoy a private guided city tour of La Paz and Moon Valley. After breakfast you will be collected from your hotel. Your guide will show you the city centre and the most important sights, including“Plaza Murillo”, where the Bolivian Government is based. Here you will also visit the immense Cathedral and Presidential Palace known as the Burnt Palace due to its near destruction in 1875 during an uprising. After leaving the square you then head to San Francisco Church, which belongs to the 16th century with a mestizo-baroque façade and symbols such as masks, dragons, tropical birds and snakes. A stone tunnel stairway from the neoclassical interior leads to the roof, which offers a spectacular view of the unique rooftops. Continuing to the famous Witches Market, where you will no doubt be intrigued by the fascinating products on sale. Then, you will visit the famous colonial street “Calle Jaén” where a number of interesting museums are clustered together: the Museum of Musical Instruments, the Museum of Precious Metals and the Museum of Customs. Finally, the tour concludes with a visit to the unique Moon Valley. A surreal place where the erosion of the wind has created bizarre sandstone formations and a lunar like desertscape. 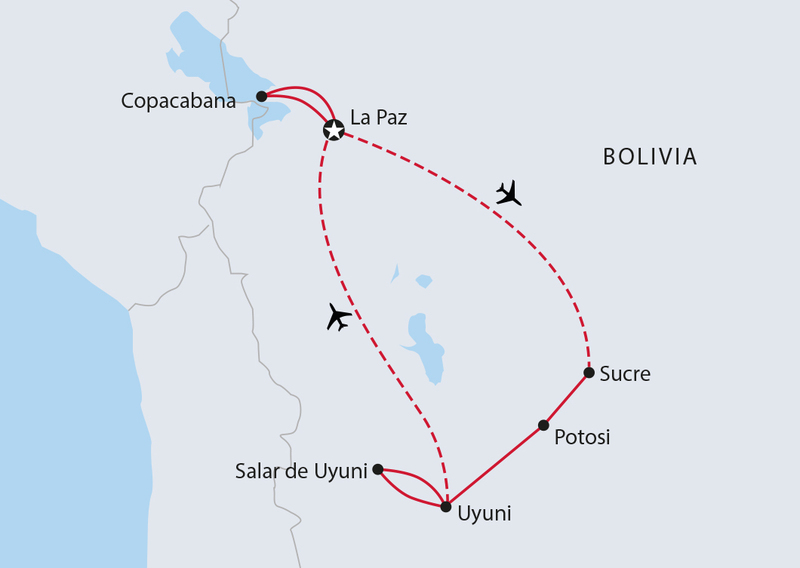 Today you will take a short morning flight from La Paz to Sucre. Also known as the white city, thanks to the beautiful white painted buildings all around the historic city centre, Sucre is the official capital city of Bolivia. Known at various times as Chuquisaca, Charcas and La Ciudad de La Plata and thus also as “The City of Four Names” – it has some of the finest Spanish colonial architecture in South America, and enjoys a spring-like climate all year round. Upon arrival, you will be met at the airport and embark directly on a guided city tour. During the tour, you will explore the old town, a recognized by UNESCO World Heritage Site. You will visit "La Casa de la Libertad" where the first government signed the Act of Independence of Bolivia, the Recoleta viewpoint where an old Franciscan monastery is located, San Felipe de Nery Church, Bolivar Park, the cemetery and the main square: "Plaza 25 de Mayo". Depending on your preference, you also have the opportunity to visit a number of museums. The Museum of Indigenous Art and the Museum of Treasure, which goes into great detail about the mining industry of Bolivia, are both highly recommended. After the tour you will be dropped off at your accommodation. Today you will enjoy a half day tour of Jatun Yampara. Located a short 30min drive from Sucre, this small indigenous community epitomizes the heart and soul of Bolivia's ancient culture. As you wander through this extraordinary village you will gain a unique perspective on this poor but very proud community who are eager to share their ancestral way of life. You will have an opportunity to participate in handicraft activities and try the local fermented corn drink "Chicheria" - an acquired taste to say the least! After breakfast you will transfer (approx 3hrs) to the fascinating mining town of Potosi for a taste of "real Bolivia". Just three hours by road from Sucre, melancholy Potosi was once South America's richest city. Today it is a shadow of its former self with grand colonial houses crumbling on wide boulevards. You will enjoy a walking tour of this atmospheric town, including a visit to the Casa de la Moneda, one of the country's best museums, with its collection of indigenous mummies dating back to the 17th century and fascinating machinery dating back to when the building served as the Spanish Royal Mint. You will also visit the church and monastery of San Francisco, the oldest church in Bolivia and one of the best vantage points for views over Potosi. After the tour you will be taken to your accommodation. After breakfast you will embark upon a tour of the working silver mines of Cerro Rico. Your tour begins at the miners market, where a local guide will explain the working of the mines and how the various materials are used. It is possible for visitors to purchase coca leaves and cigarettes to give to the workers inside the mines. Once fully kitted out with all of the necessary safety equipment you will then visit one of the 300 mine entrances where you will be able to witness miners working in conditions little changed from the colonial era. You will learn about the traditions and superstitions of the miners, such as the image of "El Tio", who is god of the underworld. 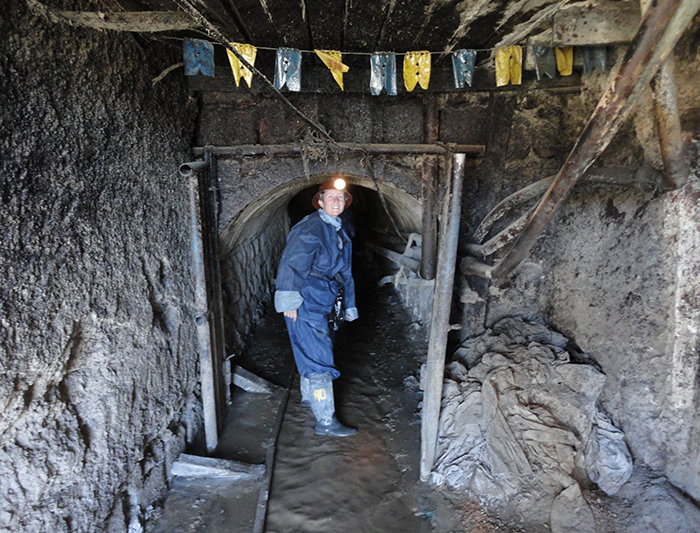 Crawling through the mine shafts, you will gain a first hand experience of the working conditions. This experience is not for the faint hearted but also one that should not be missed! After the mine visit you will continue by road to Uyuni. The journet takes around 5 hours. Upon arrival, check in to your hotel and relax before dinner. Over the next 3 days you will see the very best of what the great Southern Altiplano has to offer on a shared service tour. Your first stop will be the Train Cemetery where skeletons of old steam locomotives rust in the harsh high altitude sun. Beyond this you will pass the salt-processing town of Colchani and then a blinding sheet of white awaits at the world's largest salt lake. An important part of the day is trying to create the ultimate optical illusion picture! Next it is on to Incahuasi Island, a remarkable and rare ecosystem that has survived for centuries in these harsh and inhospitabel conditions. The following day you will continue heading south towards Eduardo Avaroa National Park. Here you will find lagoons surrounded by snow-capped peaks and large colonies of flamingos. Strange rock formations rise up out of the high-altitude desert and this spectacular landscape brings more surprises in the form of spectacular fumaroles, volcanic craters and colourful mineral rich lakes. You will spend your nights at remote locations on the altiplano. 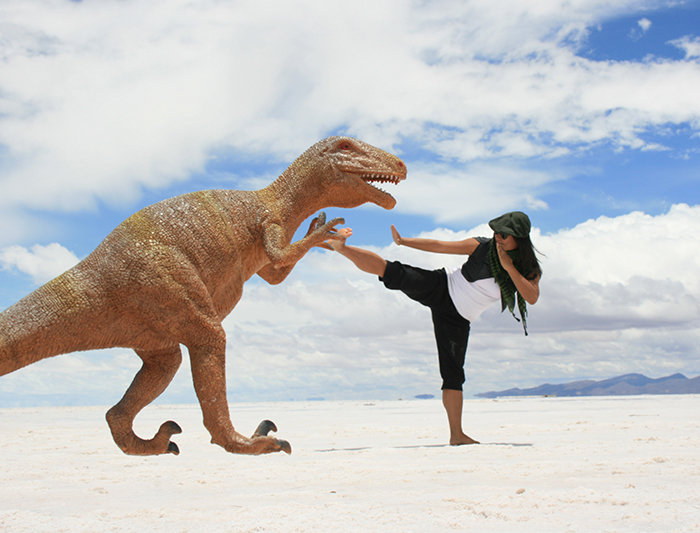 For the ultimate experience and to really take in the beauty of Bolivia's vast salt flats, why not upgrade to the luxury of a retro-style, fully equipped Airstream camper. A stay in the camper also includes the services of a gourmet chef who will prepare fantastic meals using a separate "kitchen on wheels". This is a truly once-in-a-lifetime experience! 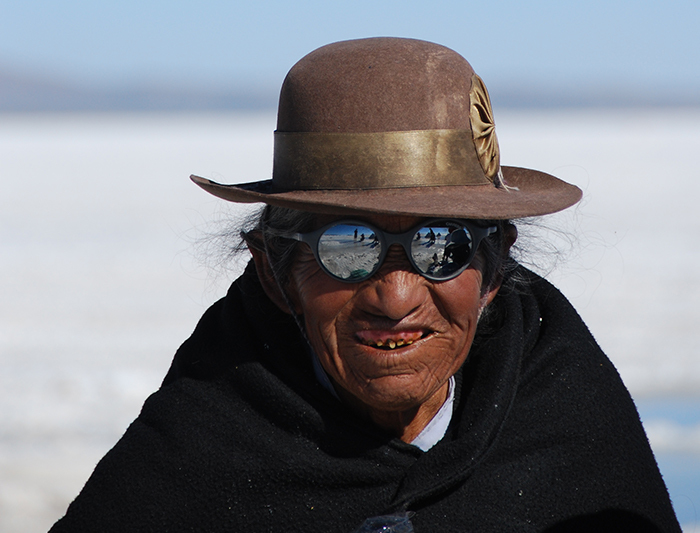 Today you will fly from Uyuni back to La Paz. Upon arrival you will be met and transferred to Copacabana town on the shores of Lake Titicaca. From the shore of Lake Titicaca you will take a boat to the beautiful Sun Island, believed to be the birthplace of the Inca Empire. The crossing takes approximately 90 minutes and you will arrive at the south end of the island, where the archaeological remains of Pilkokaina Temple can be seen. You will be at leisure to explore the island or simply relax in the garden of your lodge. There are many walks, including a path that will take you to a sacred spring that is believed to be the source of eternal youth. After breakfast you will return to Copacabana by boat and immediately continue on to Tiwanaku on the south-east shores of the lake. Listed as a UNESCO World Heritage Site, Tiwanaku is an ancient archaeological site named after one of the most importnat pre-Inca civilizations. Today, the site remains an enigma, shrouded in mysteries of how, when and by whom it was constructed. Much of Tiwanaku’s stone creations defy explanation, posing more questions to archaeologists than answers. 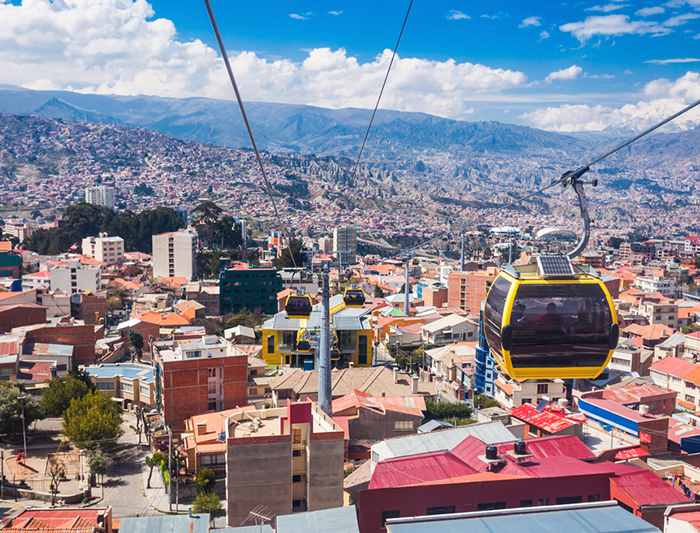 After this fascinating visit you will make the short transfer back to La Paz for your final night in Bolivia. At an appropriate time you will be transferred to El Alto International Airport for your departing international flight.